Researchers are discovering that a healthy mouth is associated with more than just looking and feeling good - it can have a significant impact on our overall health. A hundred years ago people wouldn’t have expected to live well into their seventies, eighties, and nineties, much less with most of their natural teeth intact. Today, however, people are living longer and thanks to advances in dentistry, they are also retaining more teeth. Researchers are discovering that a healthy mouth is associated with more than just looking or feeling good—it can have a significant impact on our overall health. Poor dental hygiene can cause mouth pain, swelling, and fever, and it has even been linked to malnutrition and dehydration in older adults. Perhaps most surprising is the link between oral health and serious medical conditions such as heart disease. As we age, dental issues become more common, and make routine dental care even more important. People are reaching old age with more of their natural teeth intact than those of previous generations. This is due to advancements in dentistry including anesthesia, public health campaigns, and a change in the cultural valuation of a healthy mouth (Kiyak and Reichmuth 2005). Despite these advances, older adults are still more at risk for periodontal (gum) disease, tooth loss, the use of dentures, and xerostomia—dry mouth (American Dental Association 2013). Among adults age sixty-five and over, about 65 percent have moderate to severe periodontal disease, 43 percent have lost six or more teeth, and a little over 18 percent have lost all of their teeth (Centers for Disease Control NOHSS; Eke et al. 2012). Seniors are also at a higher risk of developing xerostomia, in part due to their higher use of prescriptions drugs, which can cause the condition (Ettinger 1992). Dry mouth is associated with sore throat, hoarse voice, trouble swallowing, and even tooth loss. The risk of developing diabetes, Alzheimer’s disease, or dementia increases with age and those with these conditions tend to have poorer oral health. Diabetics— and especially those who are not properly managing the disease—are more likely to have periodontal disease (Soskolne and Klinger 2001). Alzheimer’s disease or dementia can put individuals at a greater risk of mouth issues if the decline in mental functioning inhibits or prevents proper oral hygiene or access to dental care. Heart disease is the leading cause of death for persons aged sixty-five and over (Centers for Disease Control 2013). Researchers have found links between periodontal disease, heart disease, and stroke. The number one cause of heart attack and stroke is atherosclerosis, or hardening of the arteries due to plaque buildup. The plaque that builds up in the arteries is different than the plaque that builds up on teeth, so researchers were puzzled when they found the association between heart attack, stroke, and the frequency of dental cleanings. The current hypothesis is that the inflammation caused by gum disease bacteria leads to inflammation in other parts of the body, including the blood cells in the arteries, thus leading to an increased risk of a blood clot (Beck et al. 2005; Pussinen et al. 2004). Researchers are also investigating the proteins produced by gum disease as a possible cause of artery hardening. These proteins might eventually end up in the bloodstream and latch onto existing plaques, making them even larger (Paoletti et al. 2004; Scannapieco et al. 2003). Older adults who are in hospitals or nursing homes are at risk of developing pneumonia. Poor oral health has been linked to respiratory infections including pneumonia. The mouth harbors billions of bacteria, and when pneumonia-causing bacteria like Staphylococcus aureus are left unchecked, they can lead to infection. Proper dental care has been shown to decrease the number of organisms in the mouth that cause pneumonia (Adachi et al. 2007). Diabetes is a risk factor for developing mouth problems because the disease makes it more difficult to fight infections like the ones that cause periodontal disease. This relationship is fairly well established. However, researchers are beginning to explore the relationship in the opposite direction (American Diabetes Association 2013). For example, studies are examining the link between gum disease and the onset or aggravation of diabetes and the relationship between gum disease and hyperglycemia (high blood sugar). Some small, sample-size studies have found insulin resistance in those individuals with periodontal disease (Kuo et al. 2008). However, there are some significant barriers that seniors face in adhering to the ADA’s recommendations. 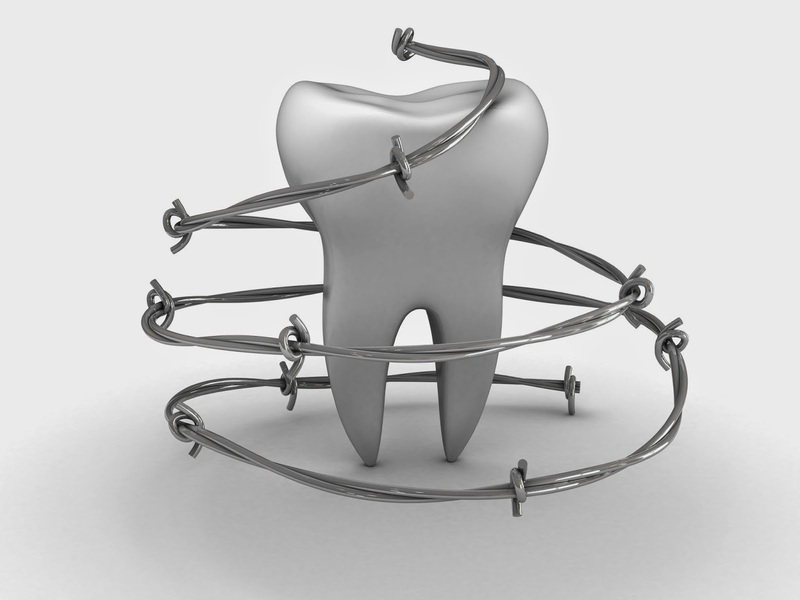 Perhaps the most important barrier is the acceptance of poor oral health as a normal product of aging. Studies have demonstrated that despite having mouth issues (and dental insurance in many cases), many older people will not seek dental care because of a general acceptance of their condition as a fact of life (Kiyak 1987; Abrams, Ayers, and Lloyd 1992). Paying for routine dental exams, or for more extensive dental services like root canals or dentures, can be difficult for seniors. Medicare does not cover dental care, except under very rare circumstances. Medicaid dental coverage varies by state with some states providing no coverage at all while most others provide only emergency dental care. According to Oral Health America’s “State of Decay” report (2013), only 30 percent of older adults have dental insurance. Living in a long-term care setting can make it difficult for older adults to obtain needed dental care. Although licensed nursing homes are federally required to provide access to dental care, many seniors in institutionalized settings are not receiving it. Assisted living facilities may be required to provide dental care by the state in which they operate. Staff in long-term care settings has little to no oral health training and few dentists are willing to provide care in these situations. Staff are usually focused on health-related tasks other than dental care. When nursing staff does provide dental care, it is often not sufficient. For example, the use of lemon glycerin swabs in place of brushing and flossing is a common practice despite the fact that they are so acidic they can destroy tooth enamel. Another popular replacement for brushing is foam swabs, but these, too, are not good replacements because they don’t control plaque (Coleman 2002). Another issue in long-term care settings includes declines in the ability to perform activities of daily living. For example, declines in mental functioning might make it difficult to remember to brush and floss, or to physically complete the tasks without assistance. Those with dementia might become confused, and in turn become combative when staff try to assist them in oral care. Finally, the long-term care industry should adopt policies and procedures that will promote clients’ oral health. Certified nursing assistants should receive additional training on how to provide routine dental care and be able to spot oral health problems. Dental care should be included in staff members’ daily routine. For residents with dementia, caregivers can ease the confusion and resistance to routine care by holding the toothbrush with the resident, placing their hand over the resident’s hand, distracting the resident by playing music or watching television, and so on (see Chalmers, 2000 for more techniques). Oral health can have a profound effect not just on how we feel about ourselves, but our general health too. People are now reaching older ages with better mouth health than ever before, a trend that will hopefully continue. • Lori Moore, Ph.D.
Lori Moore, Ph.D., is a Research Associate at Florida State University’s Claude Pepper Center. Her research interests include healthy aging and long-term care settings. She has published in peer-reviewed journals and presented her research at several academic conferences. She can be reached at ldmoore@fsu.edu. Dental Health and Aging: The Connection to Overall Health was recently published in the Spring 2014 edition of the CSA Journal.